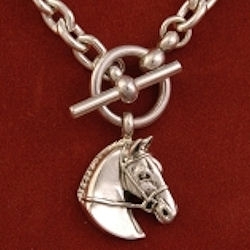 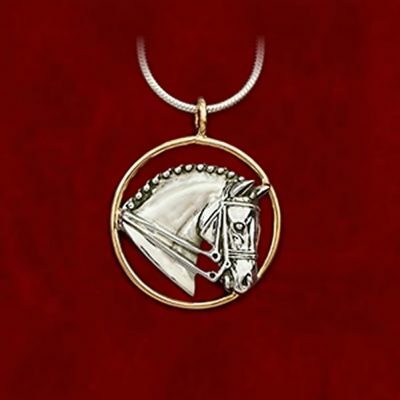 Hunter/Jumper sterling silver cable chain with toggle and horse head. 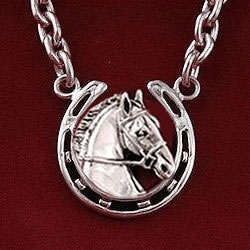 Chain measures 16.5″ or specify length at additional cost. 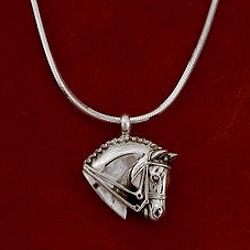 Horse head measures 3/4″ x 3/4″.